Modern earrings feature a 10 X 7mm oval Pyrite cabochon on oxidized Sterling Silver square wire. 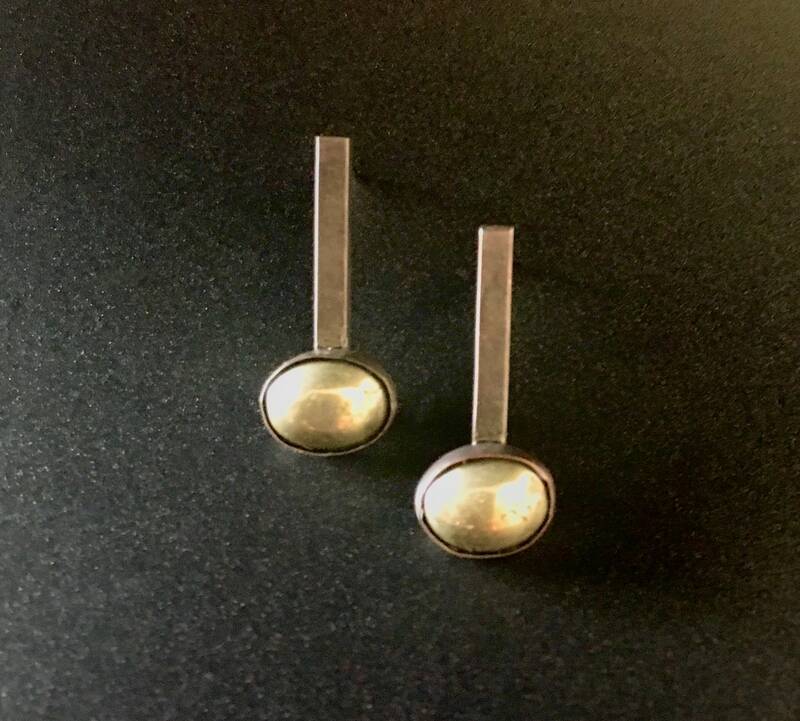 Earrings measure 2.5 cm. in length and feature Sterling posts and ear nut.